Just 12-short days after the phenomenally successful double room global launch of the Resolution loudspeaker in Munich, Wilson Benesch made the leap from the Atlantic ocean to the shores of the Pacific ocean in California to join official US importer Aaudio Imports for the USA Premiere. With both a Silk Black and a High Gloss – Silverstone P1 Coloured Carbon Fibre finish on display in Munich, the LAAS presented an opportunity to see another finish. Here the Resolution appeared with Ebonised Walnut Gloss, just one of Wilson Benesch’s nine bespoke natural wood finishes available. And with the system constructed by the entrance wall, it presented show guests the opportunity to walk into the room and observe its full architecture in all its glory. The Resolution loudspeakers were partnered with, the Ypsilon Aelius II Monoblocks, VPS-100 Phono Stage, PST-100 Pre-Amplifier, with all system cabling completed using the impressive hand built Stage III cabling from Portland USA. Finishing the system in style was the R1 HIFI Racks and the new R1 Carbon Shelf making it a setup to behold. But how did it sound? 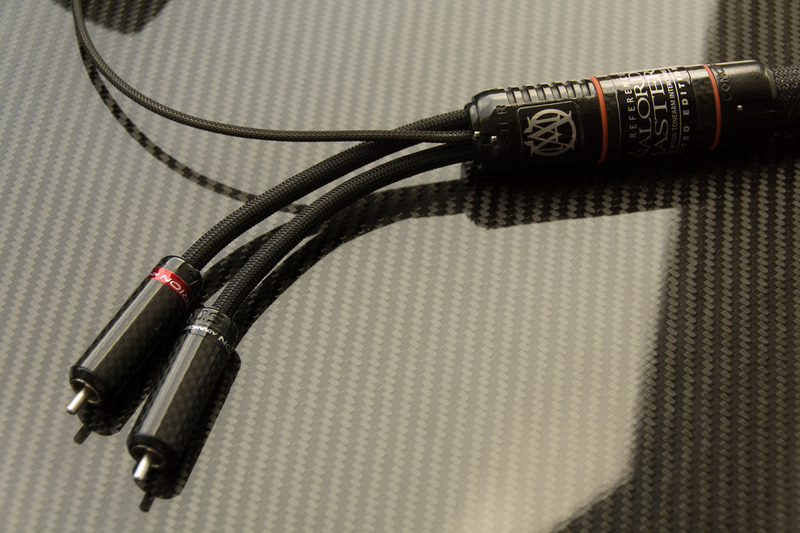 “Aaudio Imports demonstrated a superb system of Ypsilon electronics from Greece. 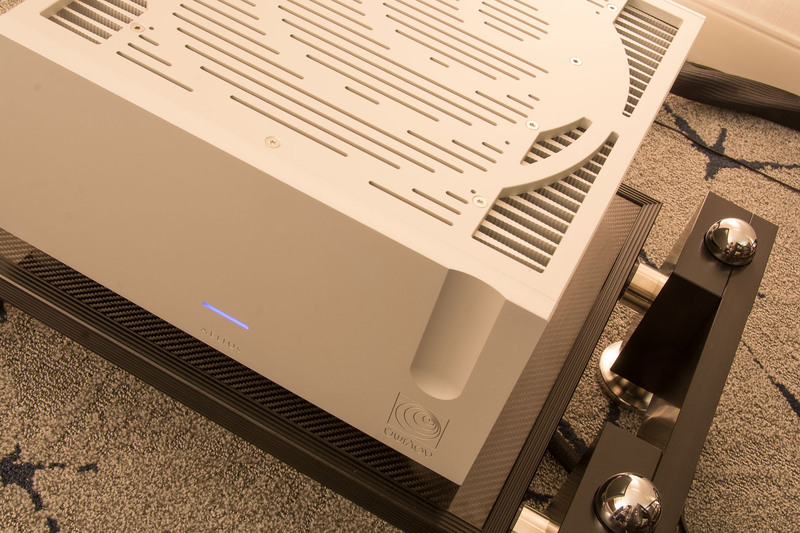 The PST0199 Mk.II tube preamp drove a pair of Aelius II monoblocks, fronted by Ypsilon’s VPS-100 tube phono stage and MC26L step-up transformer. I had never looked at the Ypsilon components up-close, but they are extraordinarily built. The whole package sounded superb driving the remarkable new Wilson Benesch Resolution loudspeaker. 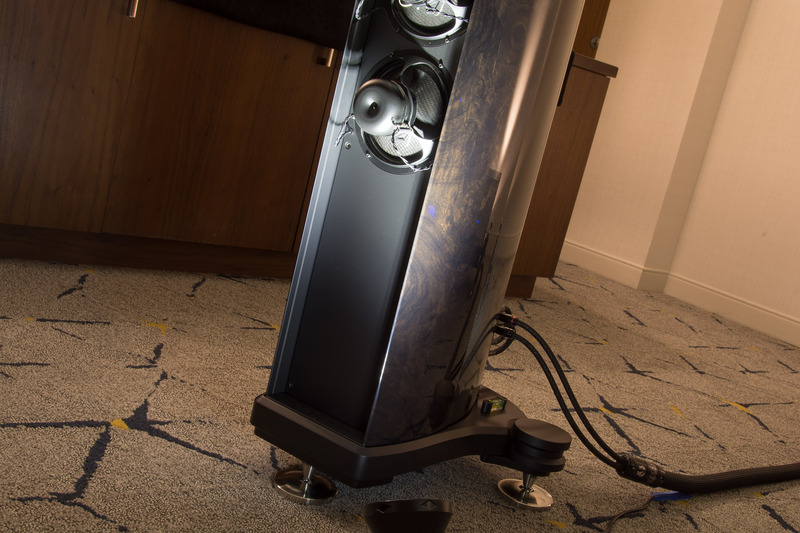 “…the new Wilson Benesch Resolution loudspeakers joined Ypsilon electronics, a Thales/Ikeda turntable and Stage III cabling in attracting a great deal of attention. This configuration, put together by AAImports, was most successful on the Reference Recordings LP of Copland’s Fanfare for the Common Man, where the system did the best job of conveying the air around the big bass drum that I’ve ever experienced. But the new Resolution loudspeaker didn’t just capture the attention of the press in LA. The new loudspeaker also captured the attention of the independent show panel who were touring the exhibition for the first two days of the show. 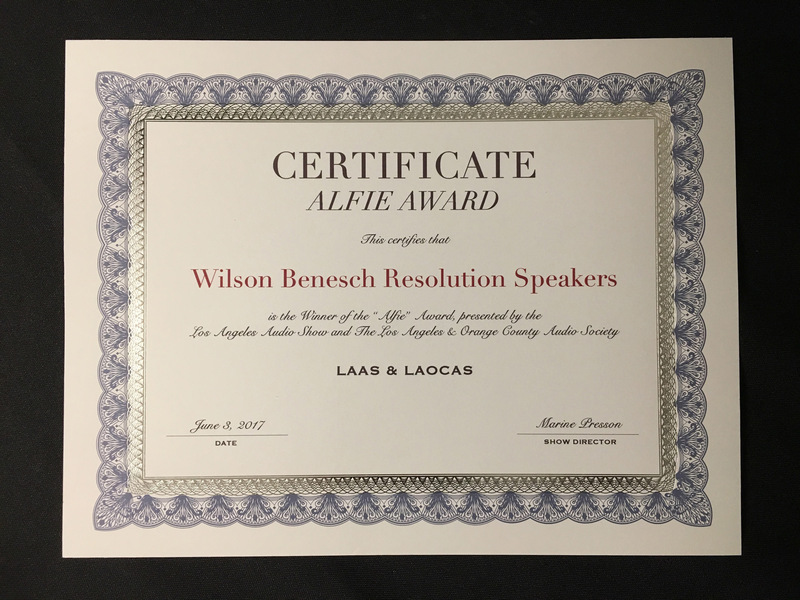 And by Saturday late afternoon, we were delighted to learn that Wilson Benesch had been awarded ‘Best Loudspeaker’ at the show by the Los Angeles Audio Show and Los Angeles and Orange County Audiophile Society. On Saturday evening following the show, Aaudio Imports and Wilson Benesch were delighted and honoured to collect an award and this certificate. 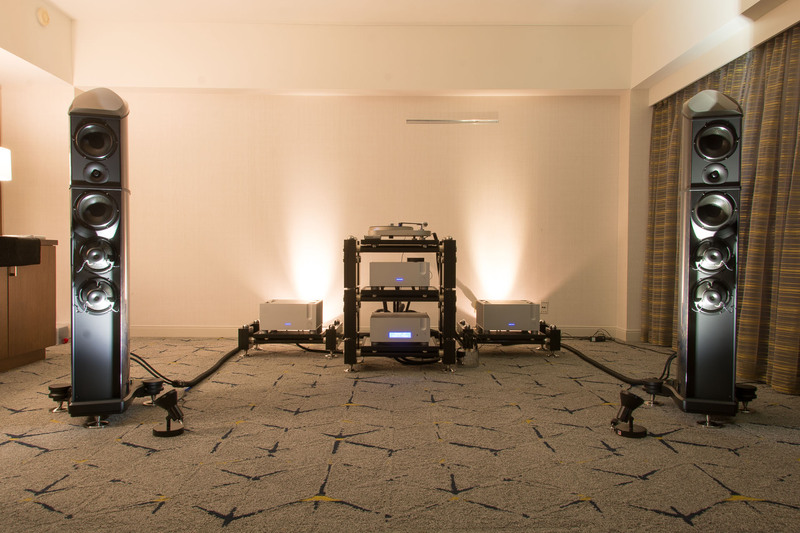 Wilson Benesch are naturally thrilled with the outcomes of the Resolution USA Premiere. The brand is being widely recognised by press and clients alike in the USA. Picking up another award in Los Angeles has been a real honour. We would like to make our personal thanks to Marine Presson and her show team for putting together such an excellent event in Los Angeles. And we would like to make a personal thanks to our partners in the USA, Aaudio Imports for bringing together a set of products with wonderful synergy to make this system possible. Wilson Benesch will return in Anaheim, for ‘T.H.E. Show’ in September and again for ‘The Rocky Mountain Audio Fest’ in October. See you all then! To organise a private demonstration of any Wilson Benesch product in the USA, you can contact our exclusive importer Aaudio Imports.